For a few years now, I've secretly been writing mathematical words and terms, to be categorized under a so-called MATHESAURUS. I wanted to christen the title A Politically Correct Mathematics Glossary or A Quick-and-Dirty Mathesaurus Dictionary. Abacus A primitive calculator that questionably originates from China. The Japanese version, called the Soroban, claims to be able to perform square and cube roots, as well as differentiation and integration. Unlike the calculator, its batteries last a lifetime. Actuary One who misuses or abuses statistics to justify the high premiums charged by one's insurance company. AMC Abbreviation for “Australian Mathematical Competitions.” The world’s popular competition, AMC caters for those mathletes who do not qualify for the IMO, but hope to be medalists, nonetheless. See IMO. Coordinates A way of describing a location on a grid. For instance, the author's e-mail coordinates are: kcyan.mathplus@gmail.com Some common daily use of coordinates are: (a) A cab driver looking for (5, 8), 5th Avenue and 8th Street; (b) Finding a seat in a theatre, say L25 (Row L, Number 25), and the like. Mathophobia Anonymous A gathering of people who pride themselves of their mathematical ineptitude. The members meet clandestinely to avoid being overcharged and conned by unscrupulous agents. Trial-and-Error Method A hit-and-miss approach. The mathematical equivalent for looking for a word in the dictionary. World Wide Web (WWW) Comprises virtual cities of bits; the world of 1s and 0s. A city of bits. A communications medium that encourages gossip, freedom of speech, and gambling; sale of pink pills, yellow literature, blue movies, and so on. NCTM’s Standards An ideal list of guidelines and recommendations for mathematical excellence in K-12 by the National Council of Teachers of Mathematics, to be implemented in a non-ideal classroom. One-to-one correspondence The most primitive and also the most sophisticated method of counting. Used by farmers to count sheep, and by mathematicians to study different sizes of infinities and to come up with some visual (look-see) proofs. Would you, readers, be keen to co-author with me the above irreverent guide to relevant mathematical terms? Any takers (friends, fiends or foes) who would be excited by such a general math-lite title? Please direct them to me. I couldn't be more serious about this funny title. I think it's going to be exciting to co-write and publish such a MATHESAURUS. In an age when apparently human beings use only ten percent of their brain, the public hasn't been spared of the Think Like a Genius syndrome. We've titles like Think like Da Vinci, Think like Einstein, and the like. Interestingly, but not surprisingly, we've yet to see a Thinking Like a Mathematician Series. Probably we won't see such self-help series for some time, if the rate of innumeracy among writers and journalists doesn't dip in future. It's unlikely that untenured professional mathematicians (whose rice bowls depend on the number of published journal papers) would be lured into writing this type of pop math titles. However, non-fiction writers with post-graduate qualifications in science and mathematics are potential candidates to popularize such math-lite titles to the lay public. Those who are fluent with abstract ideas would undoubtedly want to read about their mathematical idols of yesteryear – the habits of those highly successful mathematical minds. Monkeying the language of positive thinking, our chances of becoming a mathematician or mathematics educator would presumably be higher if we started acting or thinking like one. 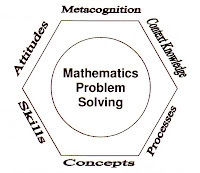 It is the intention and going through the motions of being or thinking like a mathematician that counts. Self-help books and circuit speakers tell us that if we want to think like a mathematician, and actually go through the motions of being one, we will become at least an adequate [probably, third-class] mathematician. We may not become another Archimedes, Gauss or Newton, but we'll be much more of a pseudo-mathematician than someone who doesn't practice the yoga of applied positive thinking. Meanwhile, let's look forward to some of these feel-good math titles, which may give the mathematical brethren some psychological boost to their often-unappreciated vocations.